For a long time now I have been pondering what it must be like to be a small insect hatching out on a freestone stream. I know that insects are smarter or at least appear smarter than we might think. Mayflies for example manage to all hatch at the same time so that they can find a dance partner for the big shindig over the nearby trees. Given that they only have a literally ephemeral window in which to find a mate the timing is uncannily precise. It is equally well recognised that they all fly upstream before mating or laying eggs to avoid their species gradually slipping down into the sea over the course of millennia. There are even those who postulate that the nymphs prefer days with upstream breezes, on which to hatch out, to assist with the process. Nobody seems to have a hypothesis as to how they might know which way the wind is blowing, or indeed for that matter what the hell wind is in the first place so perhaps I am wrong. But I find it hard to imagine that a good many of the bugs that hatch out on our streams don’t go over a miniature waterfall at the very point of their emergence. It seems unlikely to me that they might predict what hazards await them, and a misjudgement in terms of position could easily see them getting washed over a metaphorical Niagara (the term seems appropriate when compared to the size of the average insect) only moments after they surface. 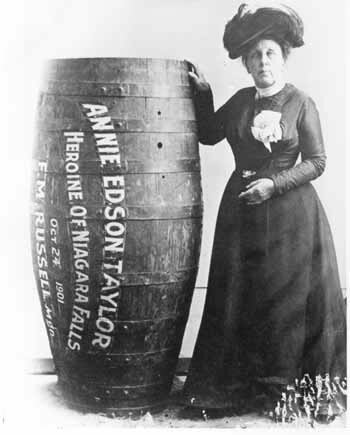 In my wilder moments of cerebral waywardness I imagine what it might be like to jump in to a raging Niagara River a few hundred metres above the drop and try to remove all your clothing before being sucked over the edge. In effect isn’t that precisely what a hatching aquatic insect has to manage as it escapes the clutches of both the stream and its nymphal shuck? One missed trick and the party is over. Sadly I fear that a good few don’t make it and end up in the wash cycle, bad for the insects perhaps but I can’t help but think good for the fish and therefore quite possibly good for us anglers. For all the trouble we put into slaving at a hot vice lashing together minutely detailed imitations of mayfly duns, caddisflies and such I suspect that some of that effort is wasted and have long harboured the notion that much of the time we might do better to imitate those unfortunate ephemerids which inadvertently do the metaphorical “over the falls in a barrel” trick. As predators trout surely must hone in on an easy meal, they seem to already show a predilection for food items that can’t easily escape. 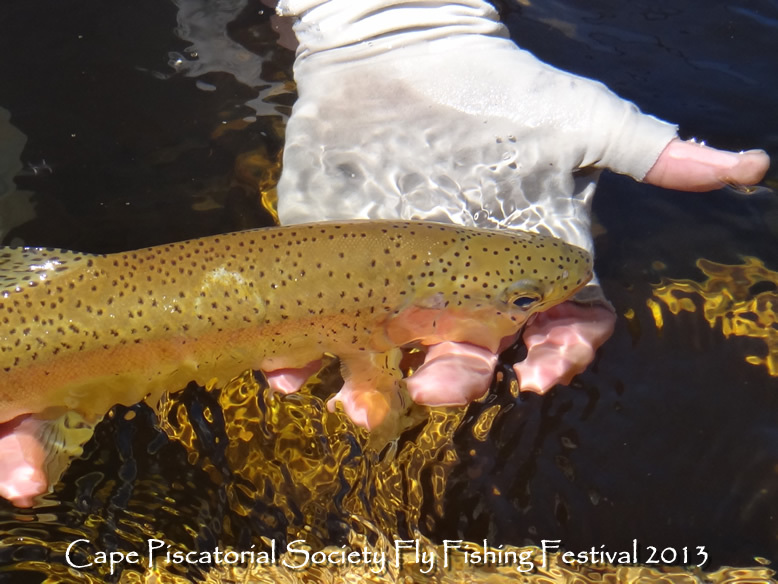 I think of the hoppers, the ants, the beetles, the stillborn duns which get trapped in the sticky surface film and which we as anglers at least imagine the trout will target because they represent easy pickings. Surely drowned bugs must provide even easier options when available? It isn’t new thinking but then again it equally isn’t something that I have overly focused on either, that is until recently when the trout were being particularly tricky on a local stream. They weren’t overly keen to commit to a number of high floating artificials, either large or small and so we tied on some tiny (#20) soft hackle midge patterns behind small but visible dry flies. (The “midges were impossible to see so the dry flies offered a clue as to their whereabouts on the water and an indication of a subsurface take when one occurred). 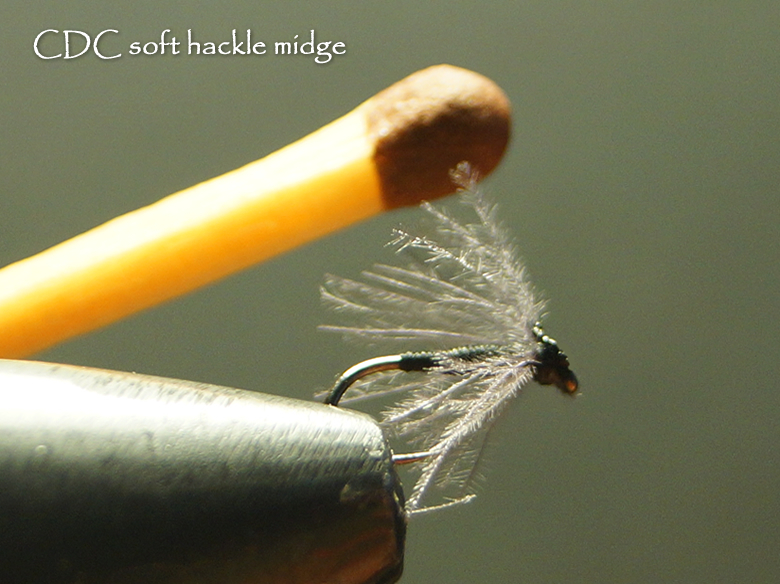 I use the term “midge” but in reality these CDC soft hackle flies could well represent anything that has drowned and taken a bit of a beating in the tumbling currents; I don’t suspect that the trout require a Latin name attached to a bug to decide to consume it. This simple CDC Soft Hackle fly accounted for dozens of fish on a recent trip to the streams. Anyway the upshot was that we “hammered em”, near every fish that we targeted with a decent drift ate the sunk or semi-sunk pattern. To suggest that these flies were lacking in complexity would be a serious understatement, the term “ludicrously simple” would still imply a level of engineering entirely lacking in their design, but they worked and they worked phenomenally well. Sylvester Nemes (The Soft Hackled Fly Addict-1981 Stackpole Books) was a huge advocate of Soft Hackle Flies and of course there has been plenty of parallel evolution of similar patterns, it can’t be a mistake that they more often than not grew out of the experiments of anglers fishing freestone rivers. I am quite sure that most would hold such flies as imitations of nymphs, emergers or stillborn duns, but perhaps much of the time they simply represent the drowned and hapless hatchlings that don’t make it. Similar flies have been invented and reinvented throughout the annals of fly fishing’s history, Clyde Style Flies, Tummel Style Flies, Northcountry Spiders, Softhackles and all of similar ilk came mostly from anglers fishing rough streams whereas the Halfordian and Catskill style dries are mostly the inventions of those angling over softer currents. Back in time it was always suggested that the need for crisply delicate dry flies on chalk streams and spring creeks was an indication of the greater intelligence and selectivity of the trout that inhabit such waters. Perhaps though the trout in freestone streams aren’t quite as thick as some angling snobs would have us believe. Eating drowned bugs on a rough stream would seem to be a pretty smart strategy if you ask me. 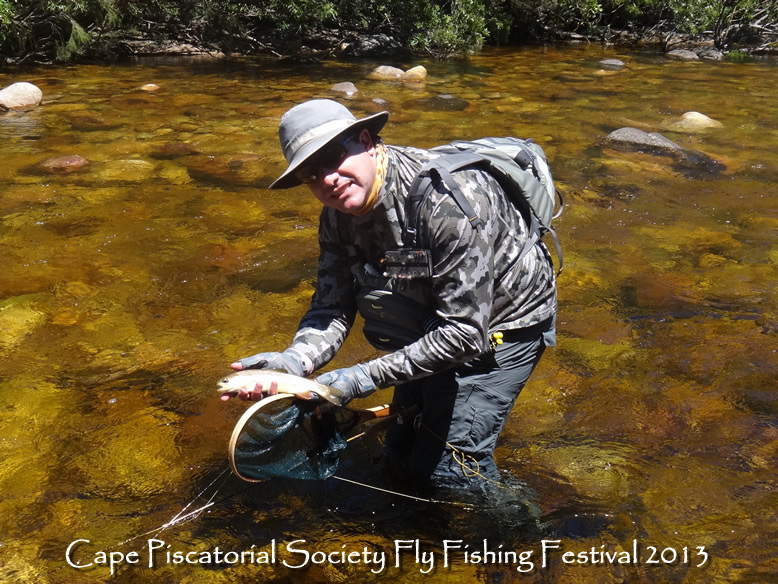 Gerrit Redpath releases another trout taken on the minute soft hackle flies we were fishing. So I would suggest that if you fish on freestone rivers, particularly those with boulder strewn pocket water, having a few highly suggestive and simplistic fly patterns that you can fish in the film wouldn’t be a bad shout. I like nice neat crisp flies, I love artistic interpretation with fur and feather, hell I even try to tie my softhackles with architectural symmetry but there are times when I wonder if perhaps stamping them into the mud a few times before casting wouldn’t prove to be “just the ticket”. Eating drowned bugs on a freestone stream is a smart strategy for the trout. Drowned bugs are food and I am pretty sure that they are food that trout like if only for their ease of capture, it would seem foolish not to copy such morsels when on the stream, at least some of the time. Plus of course similar flies do a good job of imitating any number of other bugs from cripples to spent spinners, they are easy to tie and highly versatile in terms of their application on the water. R250 (approx$25) to international clients postage included.